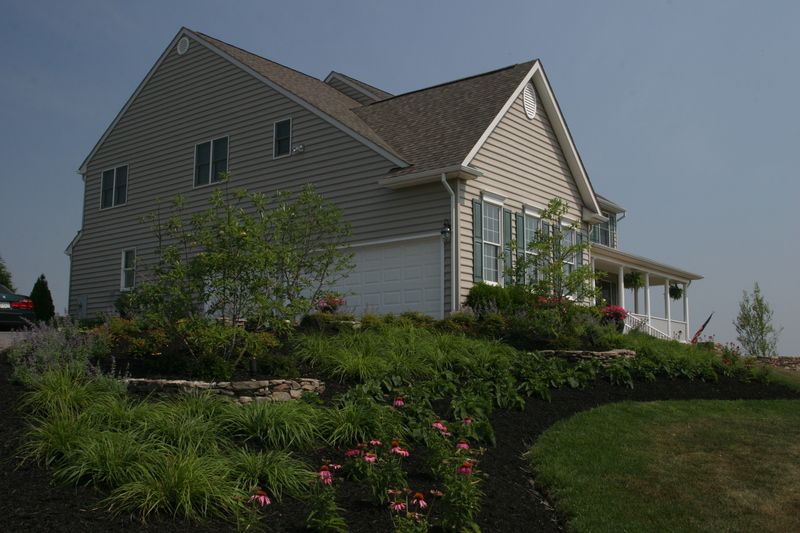 R.T. MacKenzie provides residential landscape drainage systems to homeowners throughout Maryland, Virginia and Washington, D.C.
With the arrival of spring, comes daffodils, blooming trees, and new plant growth. It also brings plentiful rain. Adequate drainage with well directed water flow, is essential for a healthy lawn, landscape, and in the prevention of disease. 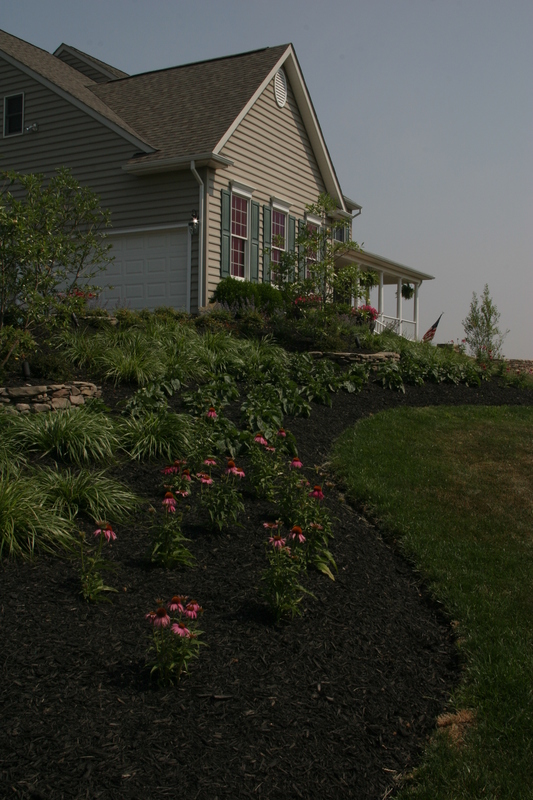 Proper residential landscape drainage is not only a crucial aspect of your landscape but also of your foundation. Every year, homes in the United States sustain damage from water intrusion due to poor landscape drainage. If you have low spots and standing water on your property or want to re-direct down spouting farther from your home, we may have the answer. If you live in Maryland, Virginia or Washington, D.C., contact us for a professional evaluation of your landscape drainage problem.